When you have *real* confidence in your trading, you're not threatened by the possibility of being wrong. All of us are fallible, and if we are secure with who we are, we can accept that. True confidence means we have the inner strength to deal with setbacks as well as successes. 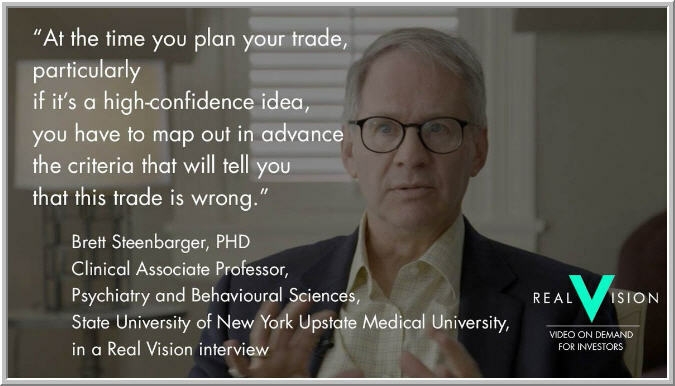 When we have big confidence in a trade, that is when we want to double down on our planning for the possibility of being wrong. Too often, traders become confident in an idea and stop looking and planning for alternate possibilities. 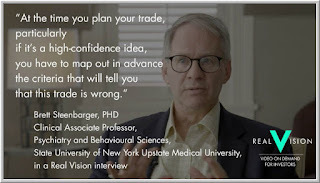 We want to use confidence to trigger our awareness of fallibility, so that we are aggressive in the trade AND aggressive in planning an exit if the trade doesn't work out. The holy grail is to have conviction *and* open-mindedness. We can size up a trade at the same time that we intensively review our exit strategy. Aggressive and nimble...just like the sniper.